Are you ready to have an old fashioned Valentine’s Day celebration? I know in today’s modern world everything is commercialized, even love. But you can have an old fashioned Valentine’s Day, and it do it on a budget! In our tech-crazy modern world we can lose sight of the simple pleasures of old fashioned ways. I encourage you to take a few of these ideas for having an Old Fashioned Valentine’s Day and see how lovely the day can be. Sometimes looking to the past for sweet, romantic, ideas can be just what we need to make the holiday more than a commercialized date on the calendar! Be sure to see my Huge List of Homemade Valentine’s Day Crafts! Nothing says Old Fashioned Valentine’s Day like getting some paper mail. 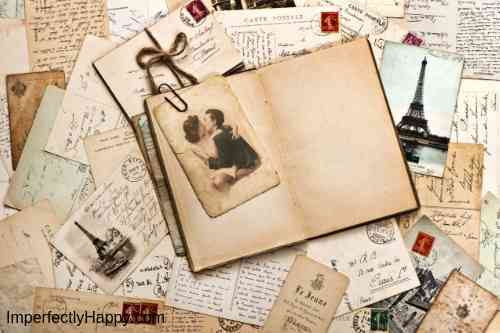 Try your hand at writing your beloved a love letter or poem and put a stamp on it. Need some inspiration for your love letters? Read the book Love Letters of Great Men with romantic letter by John Adams, Ludwig Van Beethoven and François-Marie Arouet Voltaire; or How to Write a Love Letter by Michelle Loric. But don’t worry too much, the thoughtfulness of a handwritten note will be greatly appreciated in these modern days. Maybe you want to go beyond writing and paper crafts. How about some old fashioned Valentine’s Day Gifts that won’t break the budget. Pick a bouquet of wild flowers. How about a serenade under the moonlight? Not a singer? How about setting up a dance under the stars? Make a mix tape…ok that’s not super old fashioned but in the 80s that was a BIG thing (maybe modern day would be a playlist). Cook a dinner and eat by candlelight. 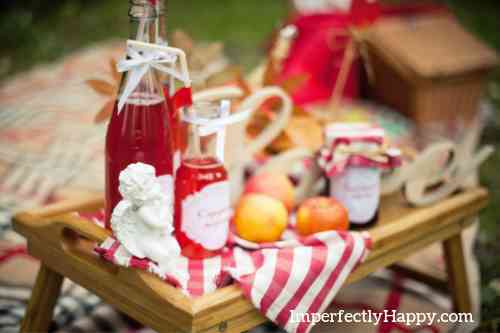 Pack an old fashioned picnic in the park with a wicker basket. Find a drive-in movie theater and see a double feature. Not one in your area? Make a outdoor movie theater in your backyard! See DIY Outdoor Movie. Share a milk shake with 2 straws at a 50s themed diner or make one at home with big old fashioned straws. Recreate a famous love scene from a play, book or movie. Sit for an artist to do a sketch of you and your spouse. Make a red velvet cake. Have a Old Fashioned Valentine’s Day Red & Pink Themed meal where all or most of the foods are red, pink or heart shaped. Make the paper valentine’s crafts mentioned above. Hand deliver some Valentine’s Day treats to family, friends and neighbors. 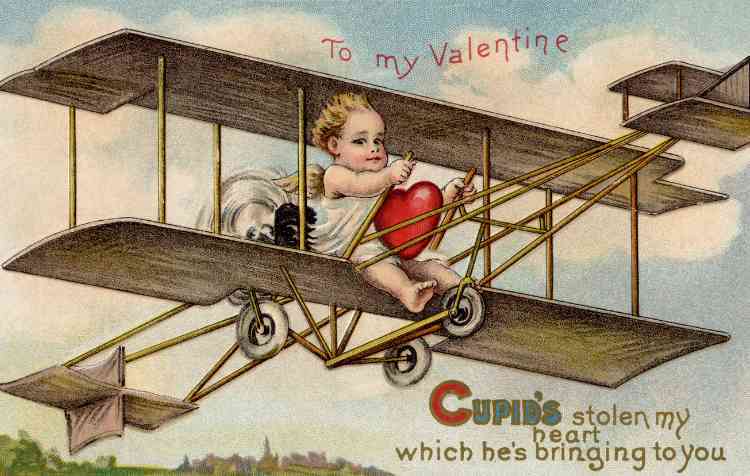 Study the real history behind St. Valentine and why this holiday became a romantic one. Make a scrapbook with a love theme – famous couples in history, the couples in your family history or your family’s love story. It isn’t hard to have an old fashioned Valentine’s Day. Just turn off the electronics and spend time with the ones you love.